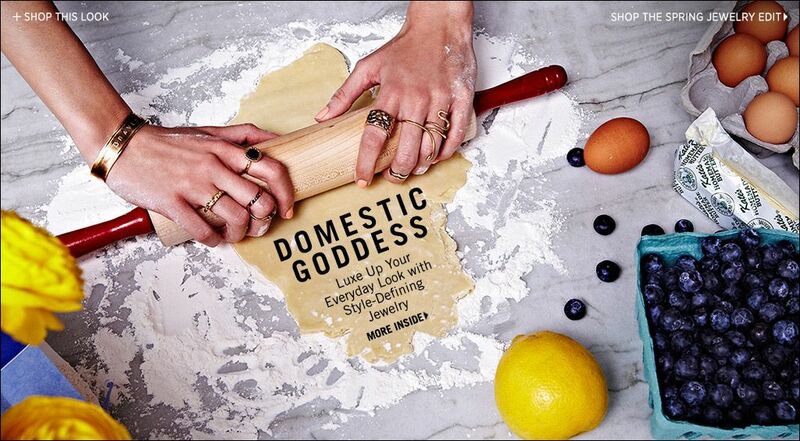 I am seriously in love with this shopbop "Domestic Goddess" accessories editorial- and I think it's because it reminds me of me so much. Always completely overdressed in the kitchen with accessories galore (which is a terrible idea given my accident proneness). I am pretty proud of my journey to becoming a domestic goddess- though I'm nowhere near an expert in the kitchen, I thankfully have learned my way around (giving much credit to having my blog which has inspired me to cook + bake more often!). I really enjoy how gratifying a home cooked meal is! 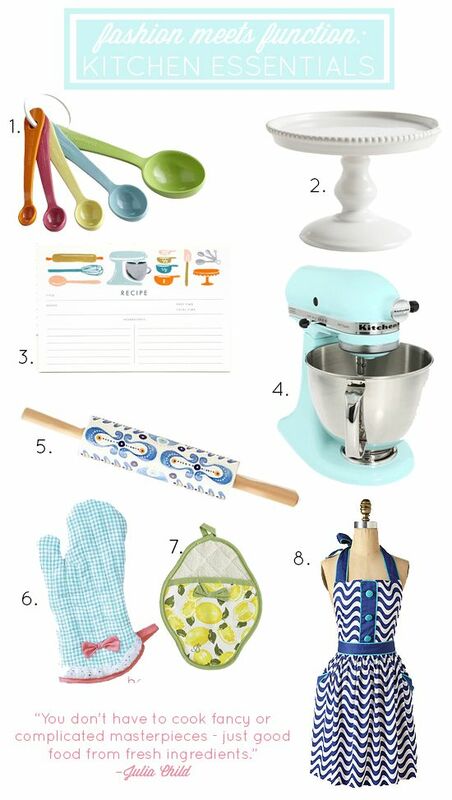 One of the things I've enjoyed most in learning how to cook is finding cute kitchen accessories- from colorful measuring spoons to aprons to keep clothes clean and decorative pot holders! These simple pieces make me want to be in my kitchen even more! I've just started baking and am having so much fun learning. I definitely need some of these accessories in my life. 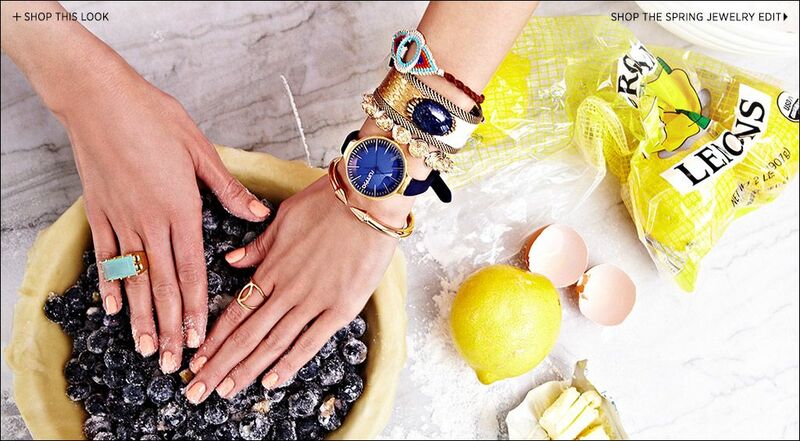 This makes me want to dress up in all my best jewelry and bake. Something I never, ever do. But if I was going to look that cute, why not?! My favorite is probably just the classic chocolate chip cookies. The same recipe that my mom has always made, which happens to be the one on the Nestle chocolate chip package, but it always turns out great! I very often whip up 30 minute deserts to bring to potlucks and such. I've loved doing anything and everything in the kitchen since I was little. I love Julia Child, she brings so much joy to cooking! My favorite thing to whip up is different kinds of breakfasts...pizza omelets, coconut chocolate pancakes, healthy pancakes, peanut butter waffles...you just name it! Tech news today is the best and reliable site that comes with a variety of updated information related to the development of technology throughout the world. The first quote says it all - the secret is in the ingredients! I have taken two cooking classes (one on bread one on fish) and both teachers both started explaining the importance of great ingredients. Lauren, you should read Sophie Kinsella's Undomestic Goddess! That book is so funny, and so Brit! 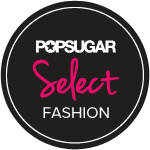 Let Me Style You- for Free! 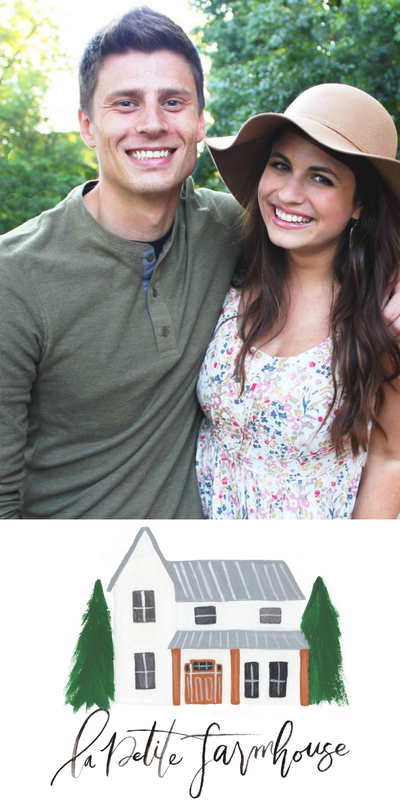 I'm a Verizon Voices Style Blogger! 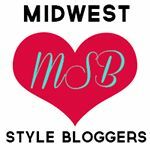 Midwest Style Bloggers is Launching Today!